Eden Hazard has admitted that Mohamed Salah is currently a level above him – and that he looks up to the Liverpool FC star following his “incredible” form. Salah is widely regarded as one of European football’s top attacking talents and he was voted as the PFA player of the year following his fine form for Liverpool FC last season. The Egypt international has scored 17 goals and made seven assists in 31 Premier League games so far this season to help Liverpool FC lead the way at the top of the table. Salah has suffered something of a minor drop in form in recent weeks, with the 26-year-old having only netted once and made one assist in his last 10 outings for the Reds. 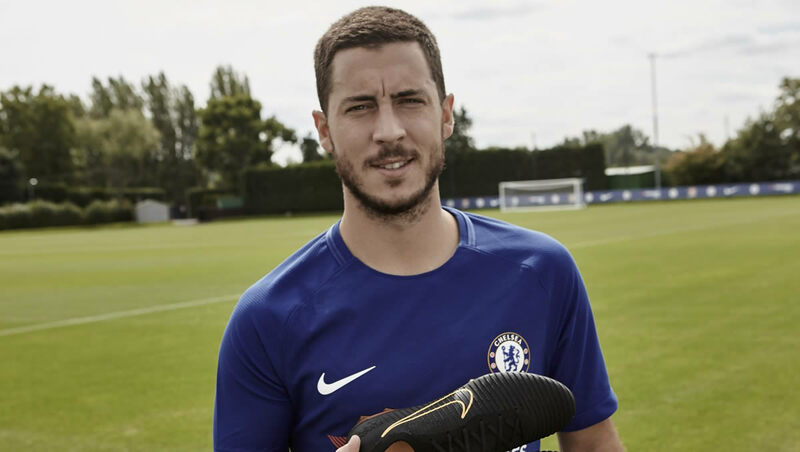 However, Chelsea FC playmaker Hazard – who himself won the PFA award in the 2014-15 campaign – has admitted that he is a huge fan of Salah, praising him for his fine form at Anfield. Asked about the players he looks up to, Hazard told NBC Sports as quoted by Metro: “I like [Luka] Modric. Salah will be hoping to help Liverpool FC keep their place at the top of the Premier League table when they take on Tottenham Hotspur at Anfield on Sunday 31 March. Chelsea FC, meanwhile, will travel to Cardiff City on the same day as they look to bounce back from their 2-0 loss to Everton last weekend.